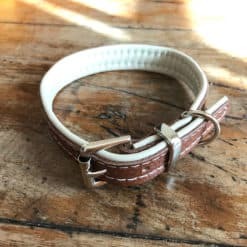 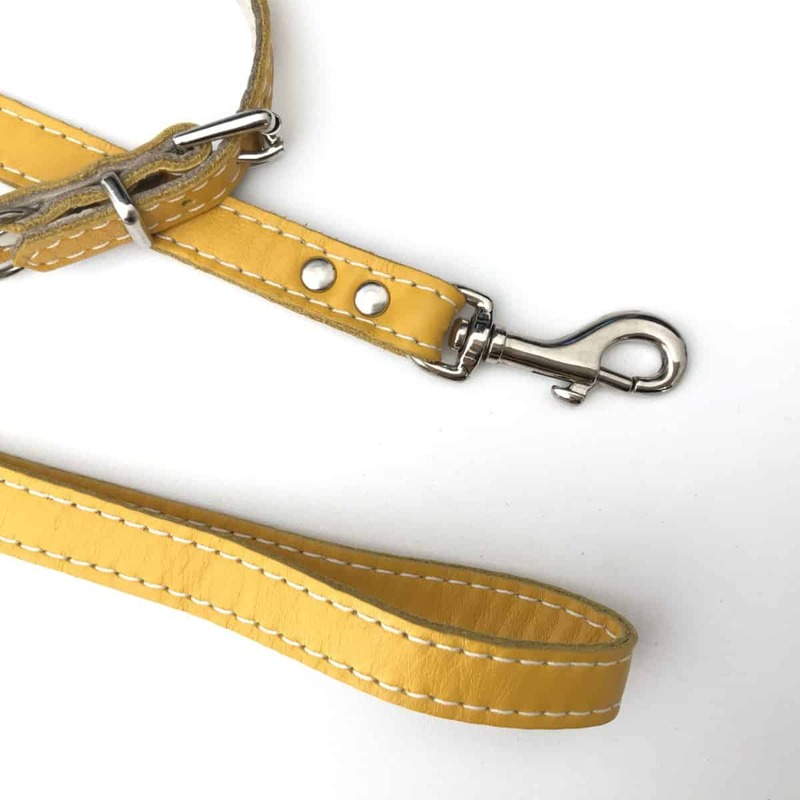 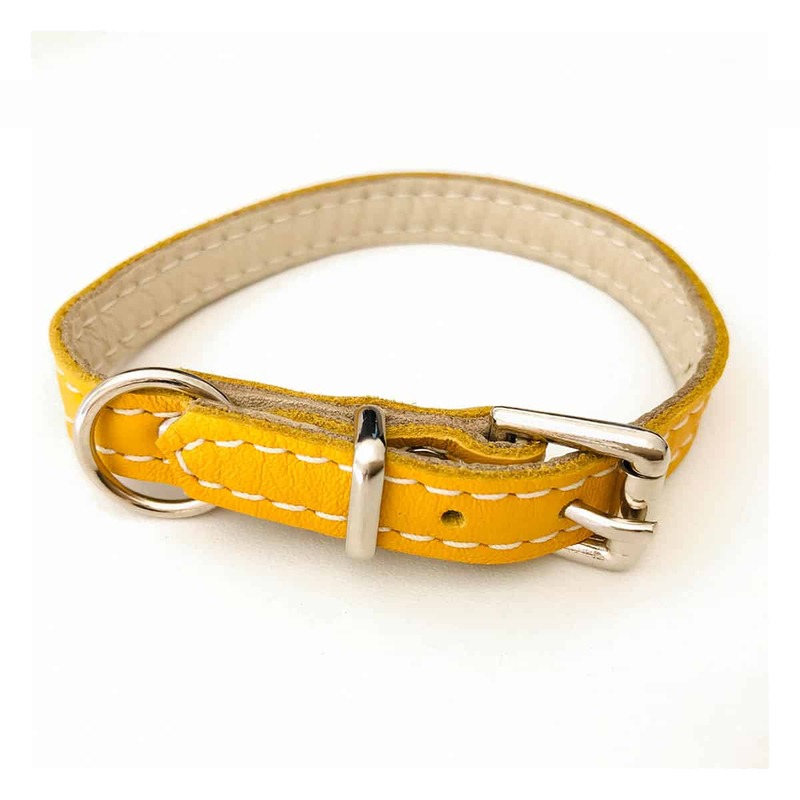 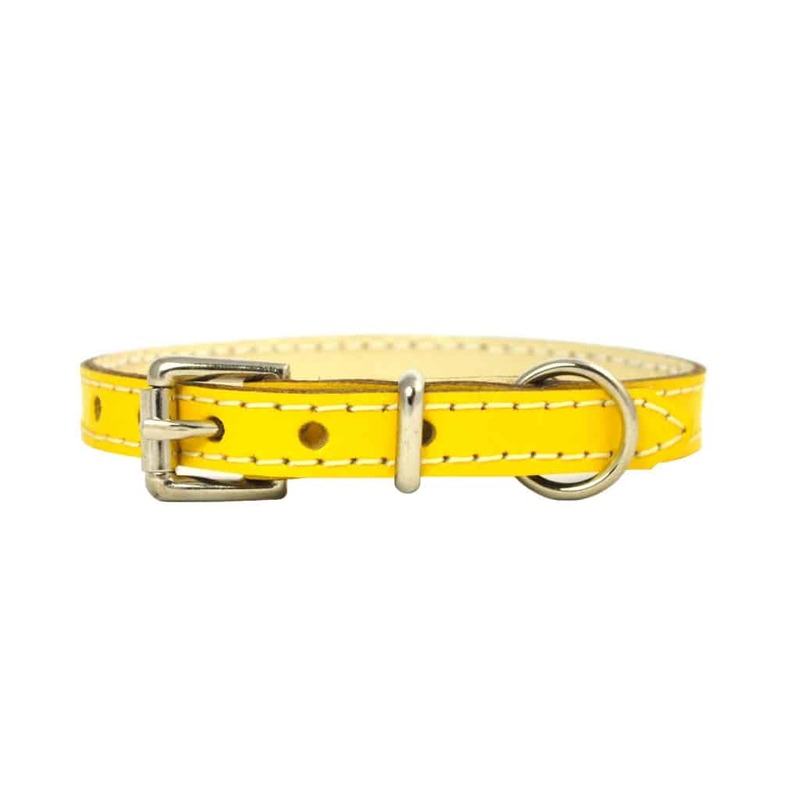 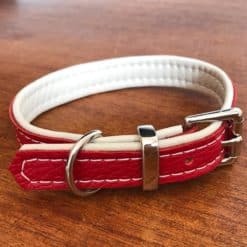 Each collar is made from two layers of gorgeously soft cowhide which are machine stitched together. 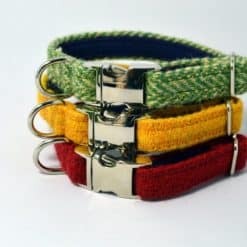 They are then securely rivetted around strong chromed steel fittings. 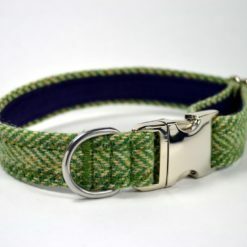 To keep your collar looking fresh, simply wipe over with a slightly damp cloth and then dry.